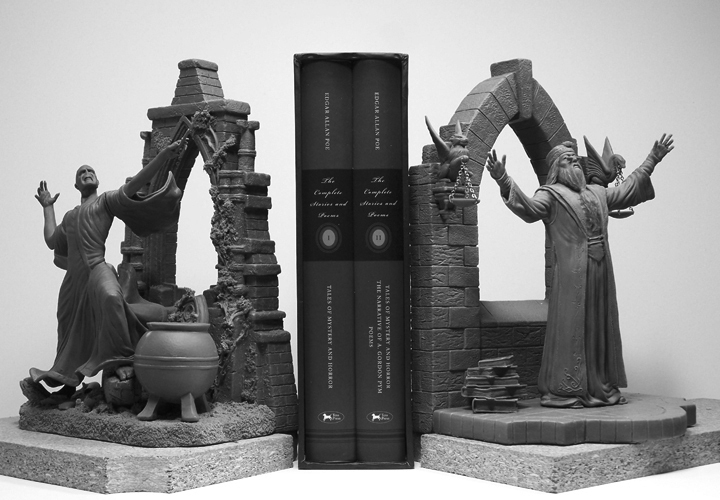 These intricately detailed and hand painted bookends feature Dumbledore and Voldemort from the Harry Potter franchise. Limited to 1,500 pieces worldwide, these original character depictions hand sculpted by Karl Deen Sanders for sale by The Noble Collection. 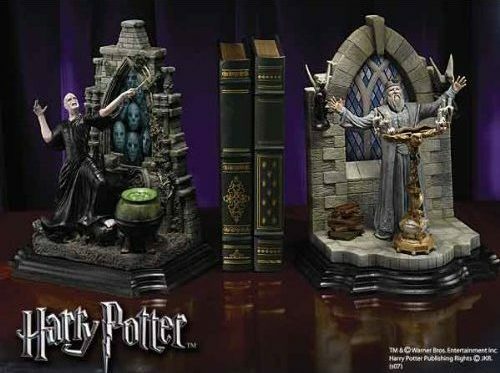 The Voldemort and Dumbledore Bookends were limited but other Harry Potter Collectibles are available. The development of these pieces was officially authorized by Warner Brothers for production and sale through the Noble Collection. The Noble Collection is the officially licensed creator of movie merchandise, specializing in finely crafted treasures, movie props and collectibles. Creating original collectibles by employing the most talented sculptors of our time is paramount to their ability for delivering unique wares.